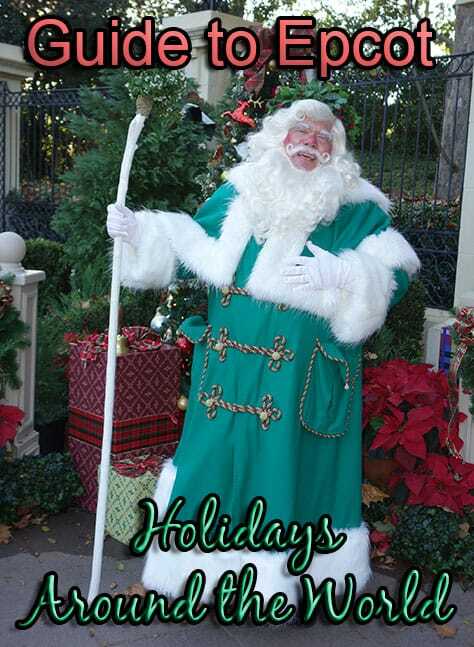 The Epcot Storytellers (many refer to them as Santas) will begin appearing Friday, November 25, 2016 and continue through December 31, 2016 as a part of “Holidays around the World” that also includes Joyful: A Gospel Celebration and the Candlelight Processional. Most Storyteller presentations range from 10-15 minutes each. The presenters are available for a few minutes following the presentation to sign autographs and take photos. The Storytellers provide an excellent demonstration of holiday celebrations around the world. 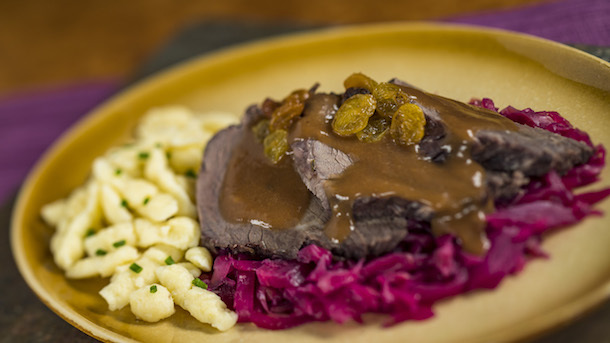 Did you know that many of our modern day holiday customs originated in Germany? Come hear about the very first Christmas tree, the first Nutcracker, and the Christmas pickle. You can help decorate our tree or listen as our band plays some of your favorite Christmas carols. La Befana is Italy’s good Christmas witch! She comes down the chimney of the little bambinos, or children, and leaves them treats. Come hear her sweet story of how the Epiphany is the day we love to celebrate in Italia. Happy New Year! It’s time to sweep away the old, a time for fresh starts and thanking our family and friends for sharing the year with us! Meet our engaging Daruma vendor and hear the story of the Daruma doll. D’Vine Voices uniquely blends the soulful expressiveness of Gospel and Inspirational music with the sounds of Jazz, R&B, and urban music. When this versatile ensemble of vocal and instrumental artists of Central Florida takes the stage, the results are simply…D’Vine! Their joyful voices will touch, uplift, and inspire you to celebrate the season! Mariachi Cobre is a classic Mexican Mariachi band that plays outside the Mexico pavilion. A Moroccan storyteller invites guests to join her on a journey to experience the gaiety of festivals, holiday traditions, and celebrations that are like the “spice of life” across Morocco. Visit our storyteller Sigrid, a beautiful farm girl, who will give you all the details, and tell you of the mischievous Julenissen, or Christmas Gnome. Be forewarned though, Julenissen has been known to play a little trick or two on the storyteller herself. Julenissen’s antics will delight and confound you. A true Norwegian Christmas experience. Did you know that the custom of decorating with boughs of holly began in the United Kingdom? So did Christmas cards! 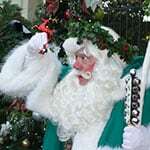 Meet our jolly Father Christmas and hear his tales of Christmas past as you prepare for Christmas present. The Voices of Liberty are an a capella group comprised of 8 or more singers. They wear date specific costuming from the late 1700s to early 1800s. They offer stirring renditions of treasured, historical songs from American history. The show is performed in an acoustically perfect rotunda that amplifies the sound of their amazing voices. 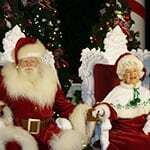 Epcot is the only location in Disney World to Visit Santa and Mrs. Claus together! Extremely popular meet, so arrive early! I suggest arriving by 1:15 PM. 2016 Epcot Storyteller’s touring plan is available for everyone on Character Locator! The purpose of this plan is to hear every storyteller in Epcot with little back-tracking. It involves a pretty casual walking pace. It’s sort of an “ultimate” Storytellers tour and I even allow time to take in some attractions, time for lunch and dinner. 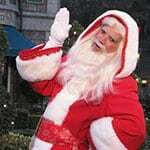 You should even have time to meet Santa Claus in the American pavilion! You could easily take in the the headliners in Future World and the boat ride in Mexico and some of the films. If you intend to watch the Candlelight Processional without a dining package, try the last show of the day. Each year Illuminations adds on a special ending of holiday cheer that is narrated by Walter Cronkite with dozens of extra fireworks blasts. Be sure to get a spot early or use Fastpass+! Shows are 9:30pm nightly through December 31. 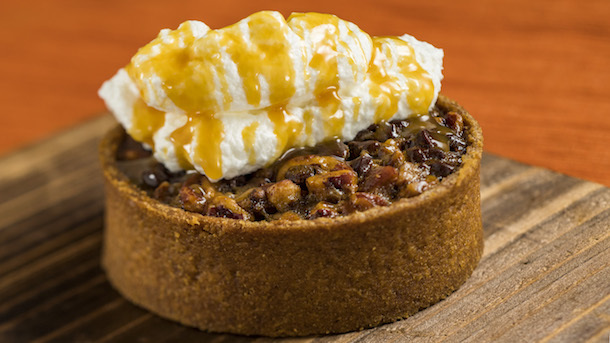 You can book online by following this link https://disneyworld.disney.go.com/dining/epcot/candlelight-dinner-packages/ or call 407-WDW-DINE. *Biergarten lunch will be charged the dinner price on Christmas Day. 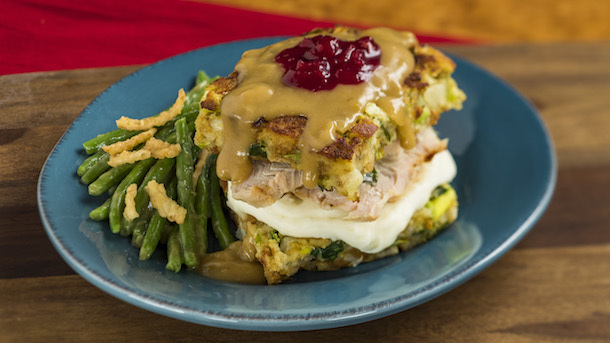 American Holiday Table in the American Adventure Pavilion is serving Slow-roasted turkey with stuffing, mashed potatoes and cranberry sauce. And seared pork tenderloin with green bean casserole, roasted sweet potato wedges and a Champagne demi-glace. Drinks include Shipyard Eggnog White Porter Aged on Bourbon, Firenog (eggnog with Fireball Whisky), Great American Wine Company Red Blend and Chardonnay, hot chocolate, eggnog and Cocoa Candy Cane (hot chocolate with peppermint Schnapps). Feast of the Three Kings Feast near World Showcase Plaza pays homage to Three Kings Day, widely celebrated in Spain, Latin America and the Caribbean. 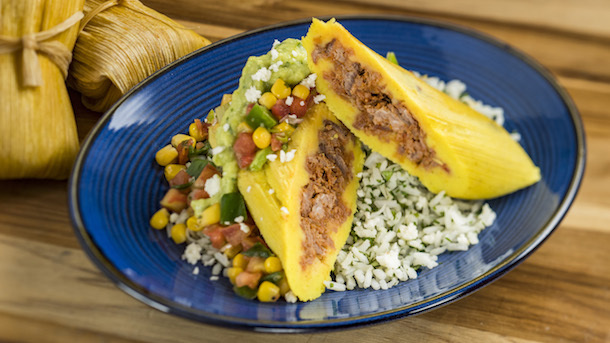 Look for a shredded beef tamale with avocado crema; roasted pork with mashed yucca and pickled green bananas, and Three Kings Bread (top image). Drinks will include a Coquito (coconut milk) and Coquito with rum floater. Hot and cold drinks will be offered all around World Showcase, as well as holidays sweets such as the Mickey Santa Hat cupcake at Fountain View restaurant, chocolate honey baklava in Morocco, panettone (Italian Christmas cake) in Italy, gingerbread ice cream and buche de Noel au chocolat(Christmas cake shaped like a log) in France, pai cha (Beijing-style fried dough twist with sesame) in China and guava tamales in Mexico. 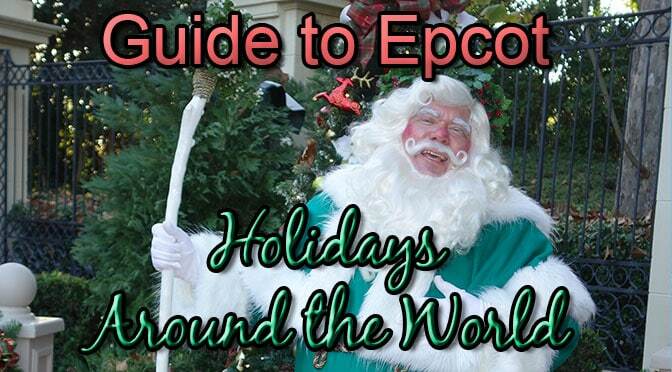 Enjoy Epcot’s Holidays around the World. Be sure to Pin and Share on Facebook below! Previous PostWhat is replacing Captain EO in Epcot?Next PostStar Tours now offers Star Wars: The Force Awakens sequence! We want to go to Candlelight Processional on the 12/8 (Jodi Benson- Friday). What are your tips for us being able to see the queue without a dining package and using the stand by line, and how long do you think we’ll be queuing for to get in, its either 2 of us, or 4 of us, We don’t mind which performance just the one that gives us our best shot and less time waiting for. What time do you think we should be in America, to gauge to see if there is a queue. Last time we went was in 2011 and we got in easy, but have a feeling its more busier and popular now. So if we’re in the area, and start queuing at 3 pm, for the 5pm show we should be able to get in. And the first show should be the most easier for us to get into. 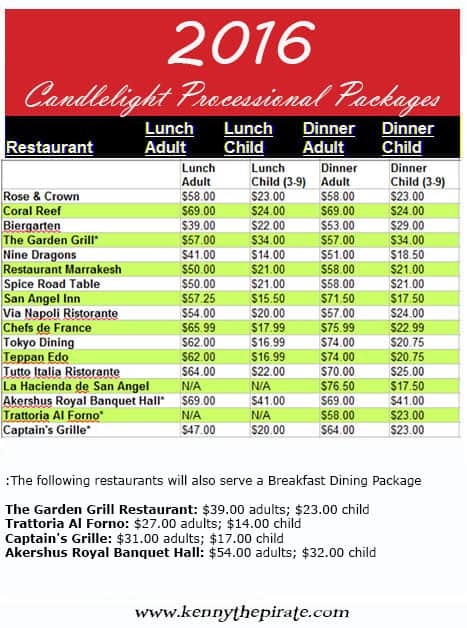 When do you expect the 2017 candlelight dining packages to go on sale? Hey, Kenny. I was just wondering if you have favorite storytellers. I know we want to see Italy, Norway, China. Do you think it seems like overkill to try to see them all? Do the story tellers ever start on an earlier date or is it always the Friday after Thanksgiving? I was hoping to see them but we are leaving the Tuesday before Thanksgiving.